Since we got back from Italy, Kiko stores have gradually made their way across the country, and I was ecstatic when I found out Warrington had become their latest venture. This Christmas, my Dad (the brave soul) went in on a mission to get me some makeup as a gift, and he was spot on! It did help that he made me give him a list of exactly what I wanted. I'm trying to experiment a lot more with my makeup this year, particularly my eyeshadow. I've started collecting some more palettes and branching out from basic smudged eyeliner and lipstick. One thing that's holding me back is that I have absolutely no idea what I'm doing. Yeah, it's funny: a Beauty Blogger who doesn't know how to do eyeshadow properly. It's almost like I'm not a make-up artist(!) I mean, blending? How do you do that? How long do you have to blend before it looks good? I love scrolling through Instagram and looking at these seemingly flawless eyeshadow applications. TEACH ME YOUR WAYS. One thing I'd particularly like to master is a neutral smokey eye look. 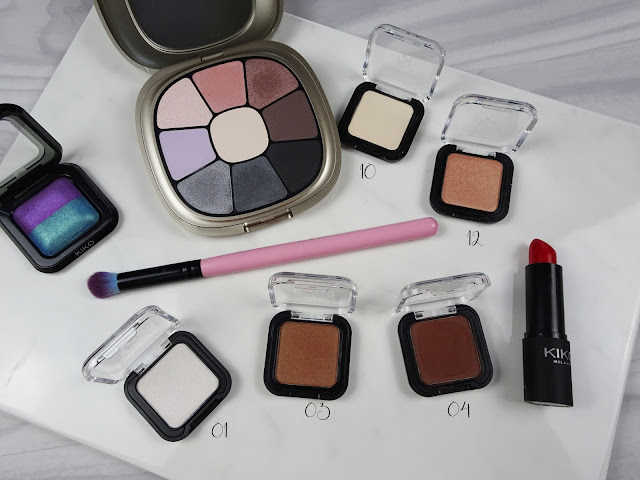 I don't have many staple eyeshadows, but now is as good a time as any to start building the foundations of my collection, and these Smart Eyeshadow singles seemed a good place to start. Metallic Bronze is absolutely my favourite out of these. 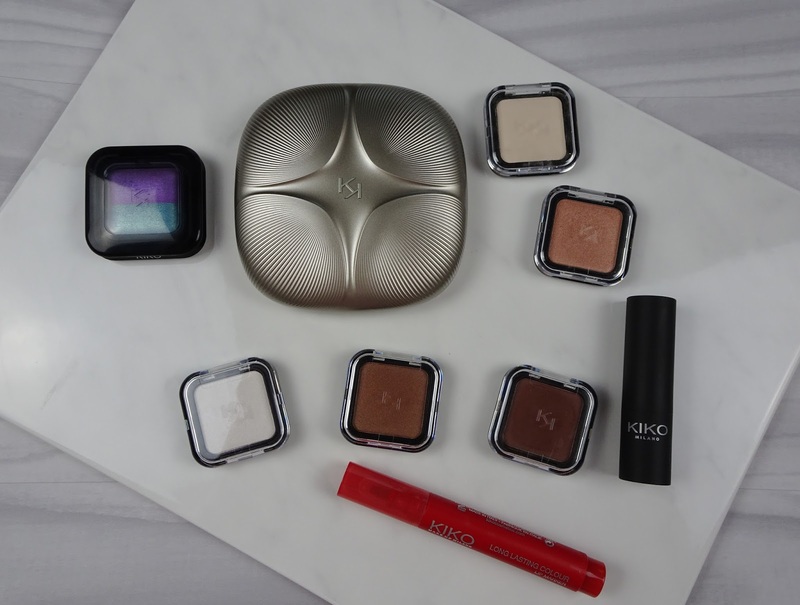 They're all fab, but the bronze applies so well, with very little kick back and is so smooth. Rosy White is also a gorgeous highlight colour with a pink reflect. I also got a Bright Duo Baked Eyeshadow in Pearly Emerald/Metallic Violet. These are both absolutely gorgeous if I was only brave enough to wear blue eyeshadow out in public. The last eye product I picked was a gorgeous eyeshadow palette in Tasteful Neutrals. I mean, just look at that packaging! Very slick and Art Deco. Inside are nine shadows - four mattes, five shimmers...all beautiful. The eyeshadows in this palette seem to be quite sheer, but easily buildable. They're perfect if you're just looking for a day-to-day look, rather than something striking and dramatic. Finally, on to my favourite kind of products: Lipsticks. Since I'd already decided to step out of my comfort zone with eyeshadow, I stuck to the shades I knew and loved. The Smart Lipstick is in "Poppy Red (933)", and the Lip Marker is in "True Red (105)". The lipstick is a beautiful, blue toned red that would suit pretty much anyone. It practically glides on and is very moisturising. It doesn't last too long when pitted against food or drink, but I personally don't mind touching it up every now and then. If you're the kind of person that prefers a long lasting tint, rather than frequent touch ups, the Lip Marker is definitely more for you. I've always stayed clear of tints, and I'll be honest, it's because I loathe Bene-tint. It just didn't DO anything. This marker, however, is a lot different. First of all, it is a literal marker. It was so strange, feeling like I was drawing on my face with a sharpie, but it works. It's very buildable and incredibly long lasting. I really struggled to get it off! You can use it just to add a little bit of colour to your lips or build it for a more dramatic look. 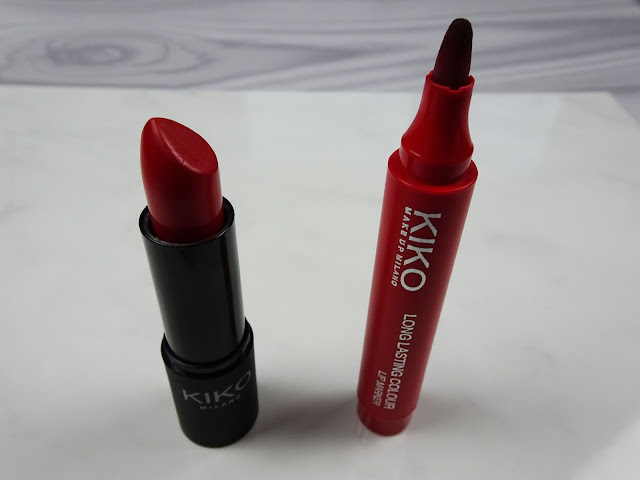 Have you ever tried anything from Kiko Milano? What did you think? If you liked this, you'll love Mini Sephora Haul: Kat Von D.
Love the pictures! I definitely need to get Kiko to try it out. So many beautiful shades! I've not tried any of their products yet so I'll have to get them on my to-try list!